A bright and spacious top (second) floor two-bedroomed apartment. One master bedroom with en-suite bathroom; second spacious bedroom with two beds and en-suite shower room. Large fully-equipped kitchen and cosy living room. There are two balconies for skinny sun-bathing with views over the roof-tops. Ten minutes from Muscat International Airport by taxi or possible pick-up depending on arrival time. Simple really - keep the place clean and tidy and respect the local culture and customs. Come and enjoy this wonderful country with me. Nearby is the famous Grand Mosque, beautful sandy beaches within 5 minutes by car. The city is beautiful, safe and with a mixture of modern and traditional architecture. A lovely corniche and port area with a fascinating old Souq. We have several excellent museums in the olf Muscat area. There are many bars and restaurants to suit all tastes - including gay-friendly dance venues on the weekend with live bands and DJs. Further afield are vast stretches of lovely beaches and stunning mountain scenery. Between the mountains are water courses (wadis) some of which have flowing water all year round and lovely for hiking and swimming. 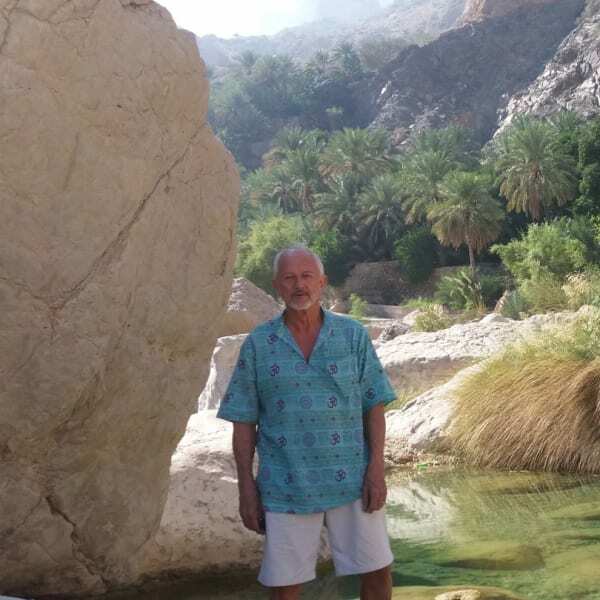 One can travel anywhere and camp anywhere in total safety - and be befriended by the very hospitable and lovely Omani people who will always help a man in need!! I LOVE living here and would be happy to show-off "my" country even though I am an expatriate. Interested in more accommodations around Muscat?